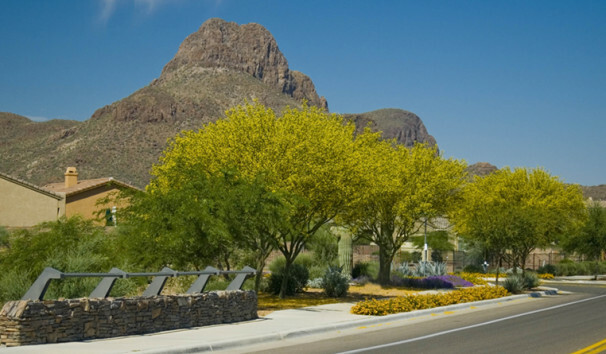 The Planning Center staff was responsible for the design of more than 2 miles of landscaping along public roadsides and medians, as well as entry ways. 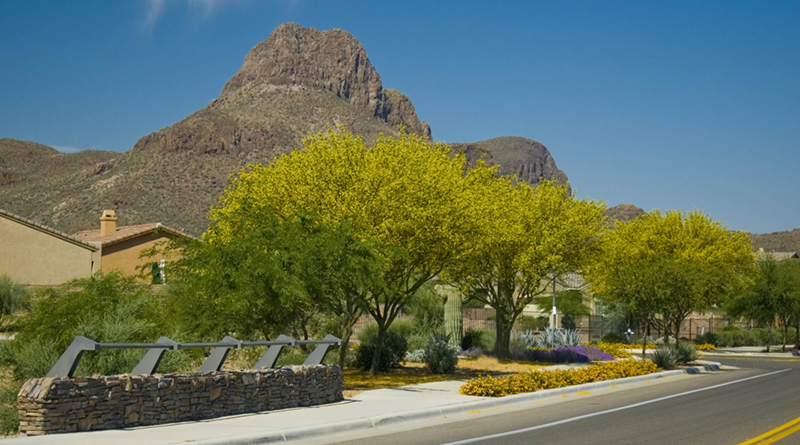 The water-conscious streetscape was designed with multiple species of Palo Verde for continuous spring bloom. The Planning Center provided construction observation services during installation of the landscape and irrigation system. “As-Built” services were provided following project completion. Extensive salvaging and transplanting of native vegetation on-site helped to quickly create a mature and environmentally friendly streetscape solution.